This study aims to increase effectiveness of family-based Contingency Management (CM) by leveraging a key mechanism of CM: parent management skills. CM is an evidence-based practice for treating substance abuse in teens. The project will involve families seeking treatment at one of two outpatient clinics: Centro Latino Americano (CLA) or OSLC Developments, Inc. (ODI). Both are Medicaid-approved, HIPAA-compliant clinics. For purposes of the study, the ODI clinic will be used to provide a participant stream for recruitment. However, this is an OSLC study (i.e., OSLC is the awardee of the grant; and the study operates under the direction of OSLC Investigators). Dr. McCart is a licensed psychologist with specialized training in cognitive, behavioral, and family systems approaches to treating serious clinical problems in youth and emerging adults. 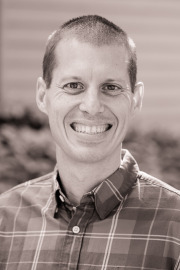 He earned his Ph.D. in clinical psychology from the University of Wisconsin-Milwaukee and has been a Senior Research Scientist at the Oregon Social Learning Center (OSLC) since 2014. Prior to joining the OSLC, Dr. McCart was the Assistant Director of the Family Services Research Center and an Associate Professor of Psychiatry and Behavioral Sciences at the Medical University of South Carolina. Dr. McCart’s research centers on enhancing health services for two high-risk populations: (1) youth and emerging adults with substance use and co-occurring behavior problems and (2) victims of interpersonal trauma. His work with these groups, funded by NIMH, NIDA, the Annie E. Casey Foundation, and others, spans all phases of intervention research, including initial development and pilot testing of treatment protocols, randomized efficacy studies, and multi-site effectiveness trials. Dr. McCart has over 50 publications and serves on the Editorial Board for two professional journals. In addition to his research expertise, Dr. McCart has provided consultation and supervision to therapists treating at-risk youth, emerging adults, and families for over twelve years.